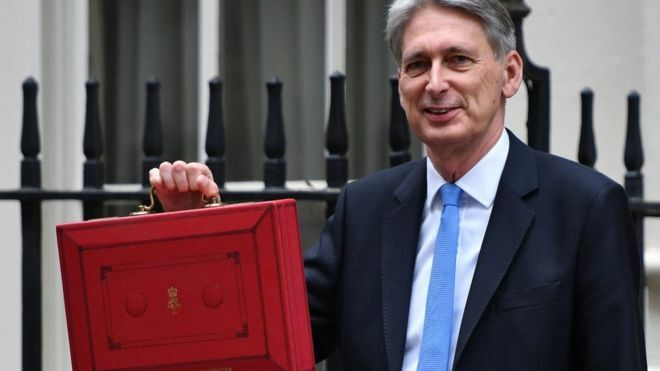 Government borrowing rose by more than expected last month following subdued tax receipts and an increase in expenditure. Borrowing jumped to £6.75bn last month from £4.35bn a year earlier, the Office for National Statistics said. It was the first year-on-year rise in borrowing in August for three years. 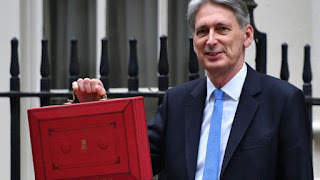 However, borrowing for the year to date is 30.5% lower at £17.8bn, potentially giving Chancellor Philip Hammond room for manoeuvre in the Budget. Economists had expected borrowing to be about £3.4bn last month. Tax receipts rose by 1.6% last month from a year ago, while spending rose 5.4%. Andrew Wishart from Capital Economics, said: "The worse outturn was due to higher spending than last year. In particular, departmental spending picked up."